The role of marketing is changing and growing, covering multiple functions and business units now – traditional marketing, lead generation, online sales, digital marketing, etc. Not every company is prepared to handle this rapidly expanding and critical role. 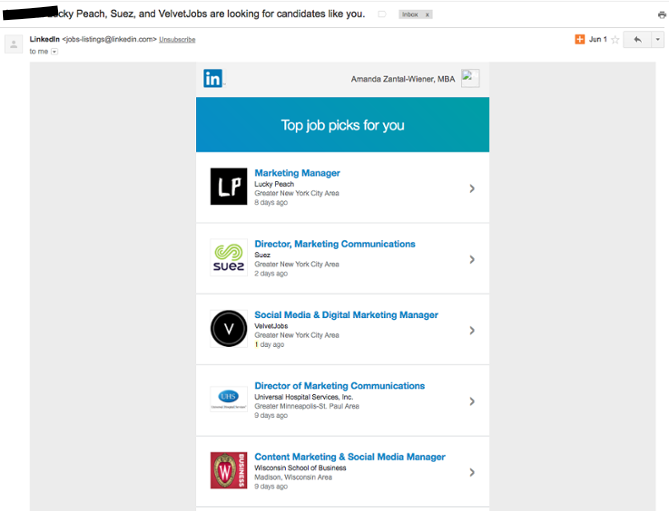 Many companies lack the staff, expertise, and infrastructure to pull off really effective marketing. One of the biggest problems is that it’s not uncommon for the different marketing decisions to happen in a silo. Key players of other marketing functions are all too often unaware of critical decisions, technology purchases, platform selections, and strategy approaches that are being done in different parts of the company. Without a unified approach, opportunities are missed and important data isn’t gathered or analyzed, so necessary changes aren’t made. These three steps will help you get your marketing efforts back on track for a unified and strategic approach that addresses the broad and ever-expanding needs of today’s marketplace and the challenges facing marketers. 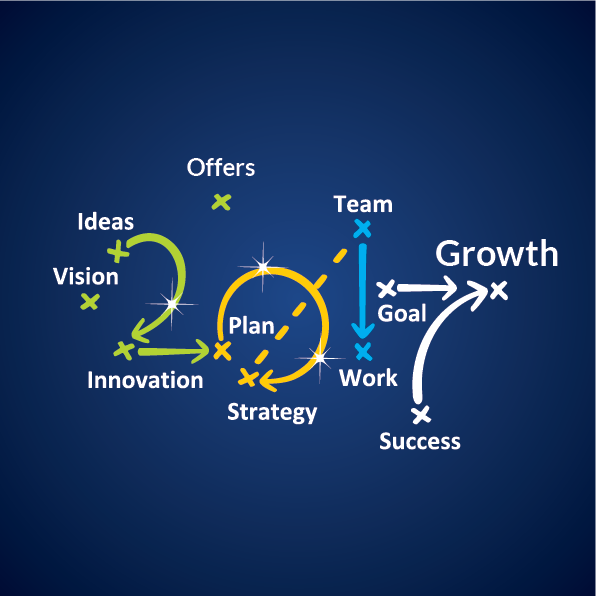 We all know the importance of goal setting in determining the desired business outcomes. Equally important is that all key players (including executives) are involved in establishing and implementing the plan. Accountability alongside follow-up is key. Determine who is doing what and when, how it worked, what changes are necessary, and how it applies to the company as a whole. Likely, you already know what obstacles you face – low budget, board members, old or non-existent technology, incompatible platforms, etc. – and that’s good news. Now, you can work together with your team to address these obstacles head on. Brainstorm ideas with those from different areas of your company. You will likely get a broad range of good ideas, but more importantly you get buy-in from your team. No matter what level in the organization, employees like to feel heard and valued. It’s important to also establish guidelines for when you’ll pivot to a new approach if the strategy for combating the obstacle isn’t working. Keep your communication clear and ongoing. Change isn’t always easy. Often you’ll encounter process naysayers who prefer to keep things “how we’ve always done it.” Ongoing education is critical to get buy-in from everyone in the organization. Effectively addressing your company’s changing and growing marketing needs is a big job – one that takes time. Determine the most critical gaps, the strategy to solve, who is responsible for doing the work, develop an implementation schedule, and create a process for analyzing the data you gather. Successfully addressing your 2019 marketing challenges involves taking a holistic approach to how your company markets as a whole and working to build cooperation and communication among the key players to ensure your marketing and sales goals are being met. 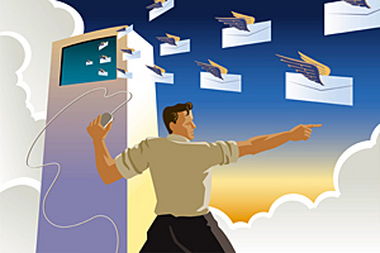 Prospecting e-mails are a great way to start and nurture a sales relationship with potential customers. How we say what we say matters. And sometimes it’s the little things that matter most. 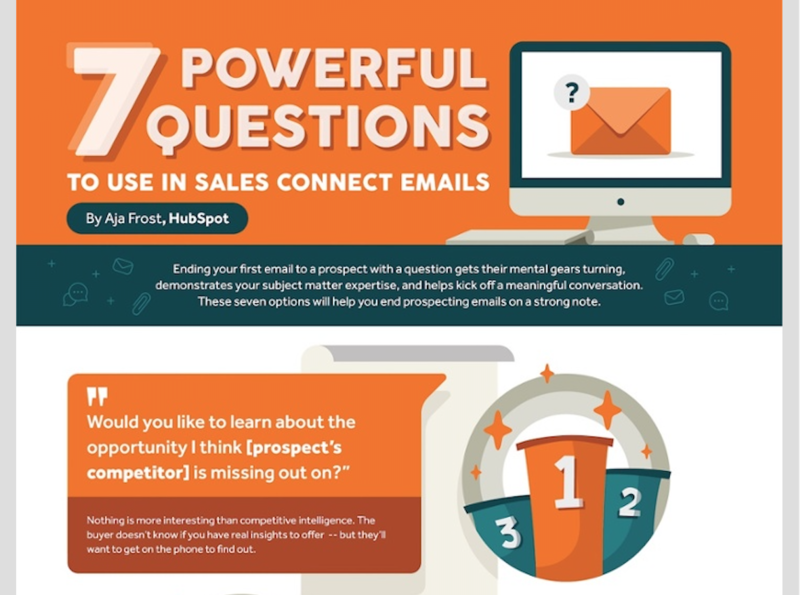 This infographic presents seven really powerful questions that provide the perfect last punch to your sales e-mail. Take a look and considering using them in your upcoming campaigns. Would you like to learn more about lead generation and how I can help you grow your business in 2018? Contact me at dstein@producersdigital.com to set up a time to talk. And visit www.producersdigital.com. There’s no denying it’s hard work to create an e-mail that really speaks to your prospects, getting them to open the e-mail and then to take you up on your call to action. Luckily, there are some really good examples we all can learn from. Here are a few I saw that I thought were especially good. Keep track of when prospects enter your sales funnel or sign up for your newsletter or follow your blog – whatever. Then, use that date to send them a personalized anniversary e-mail with a special offer. 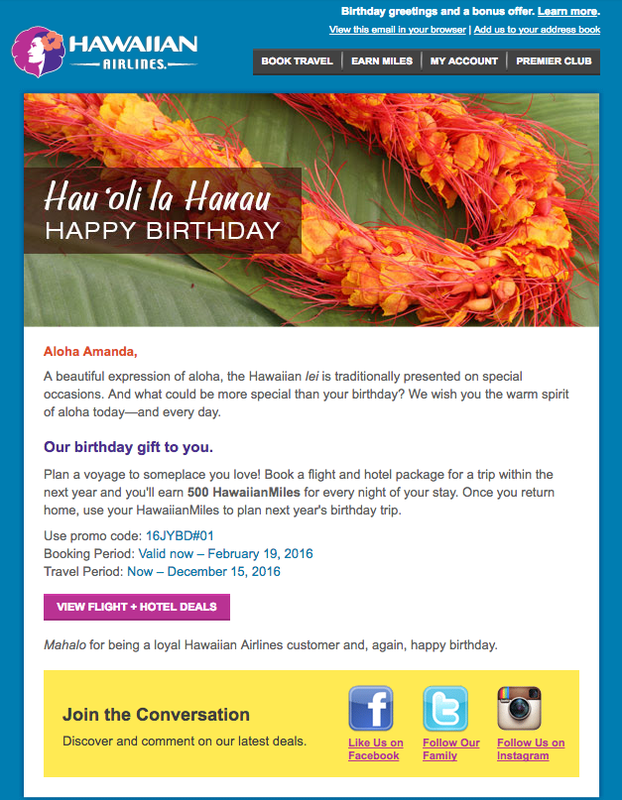 Here’s an example from Hawaiian Airlines that does this very well. Prospects showing a high level of interest ought to be recognized. Send them an e-mail that makes them feel special, like they’re part of an elite group. Phrases like “be the first to know,” or “top customer” work well. 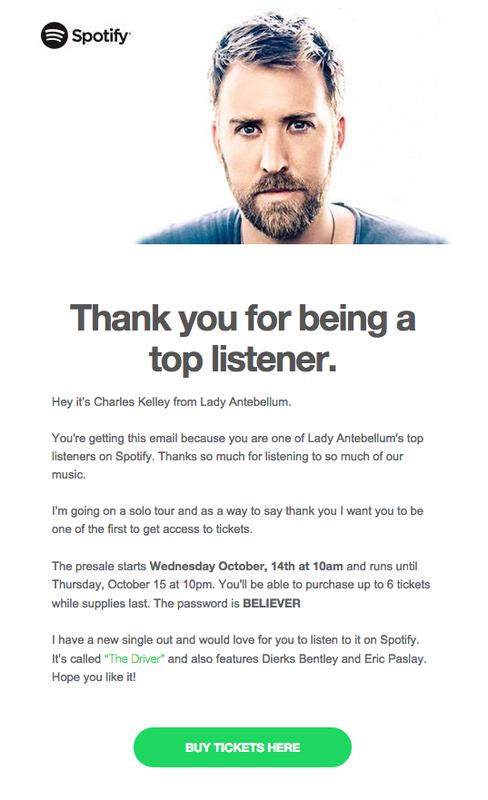 This Spotify example shows you how it’s done. Watch your prospects’ activity. Is there a helpful list you can send them? Keep it relevant to what they have shown you they are interested in. LinkedIn does a really great job with this. Use prospects’ activity to provide additional information about your business that you think will be of interest to them. Pinterest does an amazing job at this. As 2016 rapidly winds down, we’re all looking forward to 2017 and the opportunities and challenges it brings. 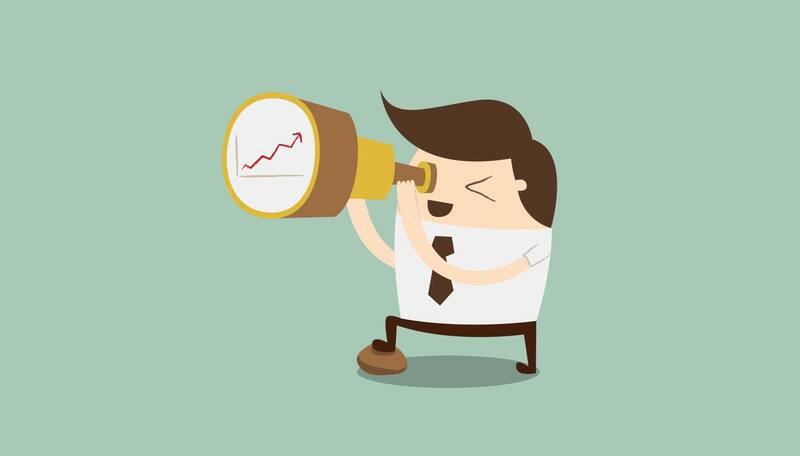 Here are some tips to focus your marketing strategy to get the most out of 2017. Make sense of your numbers. Over the past year you’ve likely tried several new things with your marketing and kept some of your old tried-and-true tactics. Now, it’s time to look at the data you’ve been collecting and see what is working and what is not. Take a deep dive and calculate your ROI to really get an accurate sense or what’s helping you generate leads and profit. Figure out what you want to stick with, what you need to rework, and what you need to abandon. Your 2017 marketing plan will still need to be tested regularly to ensure it is continuing to work. Don’t be afraid to try new things. A layered approach works best. Keep in mind that you have many new resources that work and cost very little. 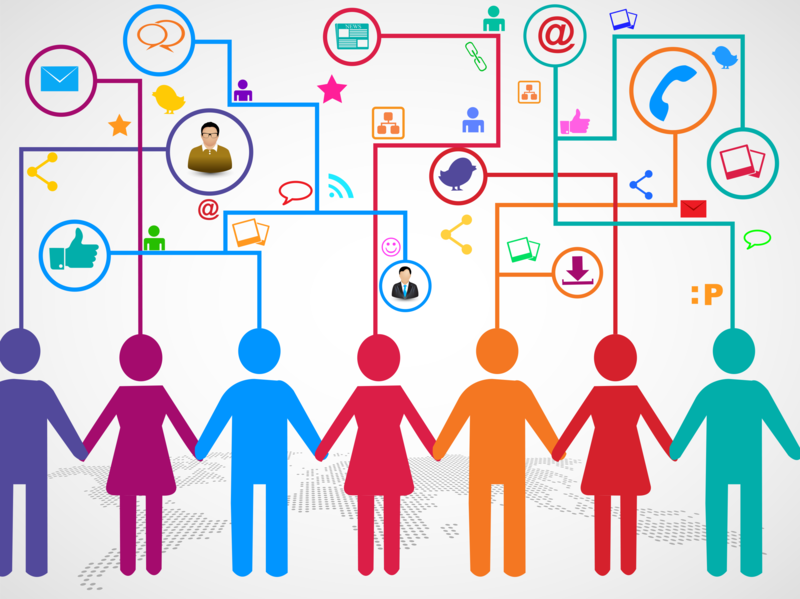 Social media help you reach your target market for very little expense. Lead generation and search marketing are also cost-effective while delivering qualified prospects. Have a plan for retaining good customers. Keeping loyal customers is good business. What are you planning to do in 2017 to retain them? Create a plan (discounted rates, referral incentives, etc.) that directly addresses the needs of your loyal customers and encourages them to continue to do business with you. Use what you learned in 2016 from your sales people, your customers, your prospects, and the competition to create content that hits the mark in 2017. Keep your website updated with fresh and useful content to make the most out of each visit your prospects make to your site. One of the most important parts of your marketing strategy is ongoing maintenance. You have to check in at least once a month to see how things are really going – not necessarily what you’re hearing or what you think. The numbers don’t lie. Set aside one day a month that you are committed to putting the time in to make sure your strategy is on track. If it’s not, make the necessary adjustments. Happy holidays and a very prosperous new year to everyone! You’ve likely heard the terms cross-channel marketing, multi-channel marketing, and omni-channel marketing. They all mean the same thing. These terms refer to the process of engaging with your prospects across all traditional and digital channels and devices. 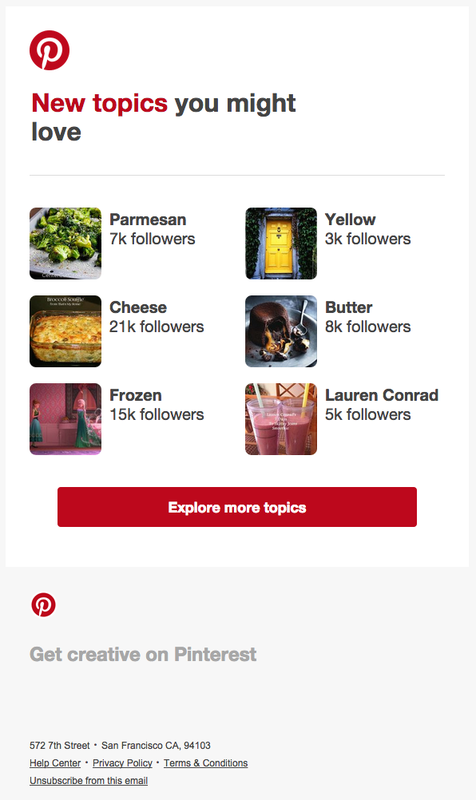 I prefer the term multi-channel marketing, so that’s what I’ll use for this post. While multi-channel marketing sounds good (and it is), the challenge occurs when you go to communicate with your prospects across multiple devices. Often the focus is on the device and how to communicate on the specific device. The focus always has to be on communicating to the prospect first and the device second. It’s always about the right message to the right prospect. We are marketing to people and not smart devices. 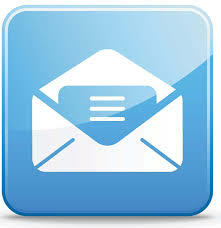 Smart devices just happen to be really effective tools for getting our relevant and timely messages to our prospects. Marketers need to close the gap between our marketing messages and our marketing devices. To effectively market across multi-channels, we must first pay attention to the prospect and then the device. What’s Coming in 2017 That Will Help You Increase Sales? As the year begins to wind down, I’m already moving ahead and planning for 2017. Maybe you’re doing the same. Here are some key areas I think will be big game-changers in your 2017 marketing plan. Look at just about any statistics on the topic of digital marketing and you’ll see that mobile dominates. Consumers are increasingly dependent on their mobile devices, and you have to keep pace. So, make sure your mobile search and optimization are up and running. Online advertising has revolutionized how we do business. If you’re in business, you’re doing online advertising. Period. This creates a lot of demand for top ad billing on online platforms. As this demand grows with more and more competitors vying for those limited top spots, you can expect the costs for online advertising to react and therefore become more expensive for advertisers. In 2017 we will see social media play an even bigger role in sales. Social media platforms will be used to not only attract prospects but also to convert leads to sales. With Google unveiling in-SERP video advertising, you can bet that the prevalence and power of video across all online platforms is going to be amped up like never before. Prepare to get your cameras rolling! Dedicated mobile apps are entering the market and will only continue to grow in importance. This is because consumers are looking for convenience beyond the traditional website and a more intuitive experience. Stay tuned for more developments on this one. Conversion rate optimization (CRO) is a system for increasing the percentage of visitors to a website that convert into customers or take any desired action on a web page. CRO is expected to join the common vernacular in 2017 as more businesses implement it on their websites and landing pages to track online prospects’ behavior and see what’s working to drive and convert leads. Content will continue to be king! (I saved this one for last because you know it’s my favorite!) However, the focus will be on making sure your content is unique, impactful, and interactive. And, greater emphasis will be placed on the quality of the content. It better be good. There will be a growing demand for video production as well as niche-based writers who have in-depth knowledge of the subject matter. I think 2017 is already promising to be an exciting year in the business world. I suggest you keep these seven areas top of mind as you go about planning your strategy for 2017.